Are You Moving Over? | Phoenix Personal Injury Law Blog - Breyer Law Offices, P.C. Did you know that it’s the law in Arizona to yield to tow trucks, police officers, and other vehicles on the side of the road? In fact, it’s called the “move over” law, and tow truck drivers want you to know about it. More than 100 tow truck drivers lined the roads and freeways of San Tan Valley recently to bring awareness to the new law and to remind drivers that dozens of tow truck drivers lose their lives every year being hit while on the job. Don’t drive distracted. Keep your eyes on the road and be aware of any flashing lights you see ahead of you. If possible, change lanes or drive with extreme caution past any stranded vehicles, tow trucks, or patrol cars. Know the law. According to Arizona Revised Statute §28-775 E-1-2, if you can safely change lanes to avoid a stranded car, do it. If you can’t, slow down to a safe speed and drive with caution. Spread the word. Teach your driving-age children the rule and let your friends and family know as well. If you are a passenger in a car and can warn the driver about flashing lights ahead, do it. Don’t distract that driver from paying attention to the road. Don’t drive on the shoulder. Make sure never to veer or wander into the shoulder on the side of the road or highway. You never know when you might come upon a driver changing a flat tire, a police officer at a traffic stop, or a tow truck driver providing assistance. Never drive under the influence of drugs or alcohol. It’s against the law and leaves you impaired to the point you might not see stranded vehicles on the shoulder. Pull off at a rest area or into a parking lot if you are tired. Never drive drowsy, because you could fail to see and yield to a car on the side of the road. 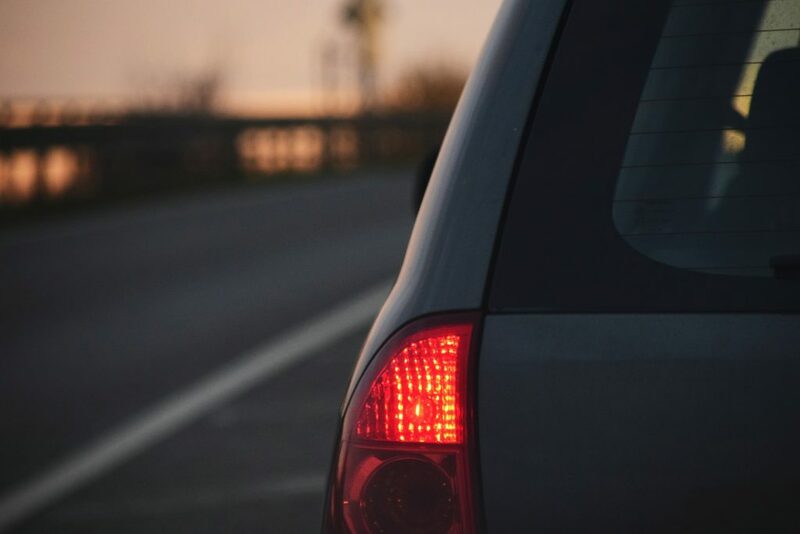 Tap your brake lights a couple of times to warn drivers behind you to slow down and move over as well, if you are able and it is safe to do so. If you hit a car that is parked on the side of the road and you could have moved over or yielded, you can be held at fault for that accident. If you are the victim of an accident like this, then you could be awarded a settlement to help cover the damages and injuries you sustained. Speak to a car accident lawyer at Breyer Law Offices, P.C., if you have any questions.